Chevy Extended Warranty or Vehicle Protection Plan- autopom! Extend your expiring (or expired) manufacturer warranty with a Vehicle Protection Plan from autopom! Do you need a warranty for your Chevy? Are you looking for a Chevy Extended Warranty? Perhaps the manufacturer’s warranty is running out, or has run out already? Or possibly you have just got a new or used Chevy and are one of the few that have come to terms with the fact that you are not required to pay dealer prices for a first-rate vehicle protection plan backed by a trustworthy company. By reading this article, you’re already off to a good start, due to the fact that the majority of people have never been informed that you can obtain a vehicle protection plan from a third party and get the identical or enhanced coverage for less than it would cost purchasing an extended auto warranty directly from a dealership! Our coverage is accepted by dealerships and repair facilities nationwide. Important Note: autopom! Insurance Services llc is a licensed insurance agency (#0I13220) in the state of California. We sell mechanical breakdown insurance in California and vehicle protection plans in most other states nationwide. Our agents are professional, knowledgeable and courteous. They are here to serve you and will not harass you with high-pressure sales techniques. 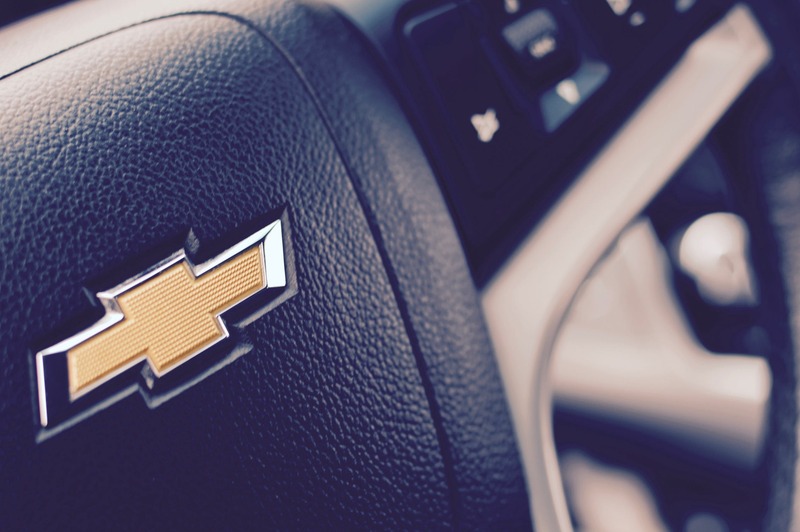 Quite often the question is asked – is Chevy extended warranty or a vehicle protection plan right for me and my vehicle? If you are planning on keeping the vehicle past the manufacturer’s warranty, and you don’t want to be held liable for the costly repairs that occur when you take your vehicle into the mechanic, then the answer is, yes! Purchasing an extended auto warranty or vehicle protection plan is a personal choice for every individual. Broken down, it is simply a kind of insurance, and like all insurance products, you are going to have to get it BEFORE you need to use it! William C. Durant and Swiss-born Louis founded Chevrolet in 1911. Chevrolet is an iconic US car manufacturer and is now a division of General Motors (GM). Chevrolet has earned its reputation by offering consumers durable and affordable vehicles within its vast and complete lineup from sub-compacts to heavy-duty trucks. Chevrolet is GM’s volume leader in sales. In 2008, Chevrolet’s top sellers included the Impala but saw its best sales come from the Silverado. The absence of a strong Asian truck market left it wide open for Chevy to sell nearly 500, 000 units that year. From working in a dealer environment, I have enough experience to validate that most people still trust domestic brands for full-size trucks. From 2008 – 2009 Chevrolet saw a 30-point increase in the annual Brand Perception Survey by Consumer Reports, bringing them to fourth place all the way from ninth. Do I Need to Purchase a Chevy Extended Warranty or Vehicle Protection Plan from autopom? Personally, I believe a Chevrolet owner will be wise to consider an extended coverage. Although parts from GM aren’t as outlandishly expensive as some of the other automakers, Chevy’s do not have the best reputation for reliability. Unfortunately, Chevrolet does not have the same reputation for quality as other brands in the same vehicle categories. Let’s face it, people typically find Toyota and Honda to be the brands synonymous with reliability. Chevrolet’s mid-size vehicles are vulnerable to the leaky intake gasket. Expect this from your Malibu or Impala. Several Silverado owners over the last few years have experienced electrical and rough idle problems with their trucks. The Silverado also has one of the highest numbers of recalls of all Chevrolet’s vehicles. You might want to consider a Chevy extended warranty or third-party vehicle protection plan like the ones offered by autopom! if you own one of these vehicles. Problems with steering, suspension, and transmissions on cars like the Malibu, Impala, and Trailblazer are commonly reported. Some transmission repairs can be done simply, others involve thousands of dollars worth of parts and labor. The cost on average of replacing the transmission itself is $1600 – $3500, so in this situation ,a Chevy extended warranty would have paid for itself. Chevrolet’s are prone to many common problems. Before making any decision, research your specific model and year to ensure reliability. Certain models are known to have problems, making the extended protection decision a no-brainer. A good resource to check is Edmonds.com.